Welcome to LearnPac Systems’ candidate mandatory training e-learning courses. 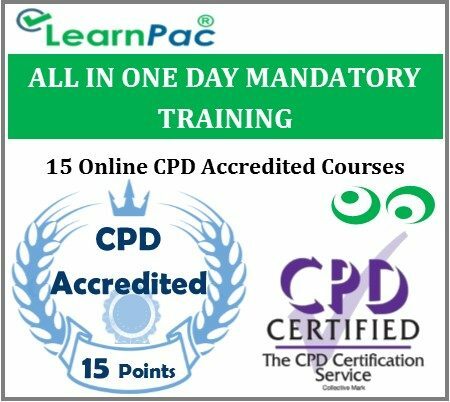 These statutory and mandatory online CPD training courses were developed to meet the required learning outcomes in the Skills for Health’s UK Core Skills Training Framework (CSTF), the Care Quality Commission (CQC) and other relevant regulators. This online candidate mandatory training course package covers the main points relating to the CSTF learning outcomes and CQC recommendations. It has additional online learning resources that provide more details for learners to refer to during the course and in practice. What are the aims of these candidate mandatory e learning courses? What are the objectives of these statutory and mandatory online courses? What is covered in these online candidate mandatory training courses? This online CSTF aligned online mandatory training for doctors was developed in line with the CSTF learning outcomes. Who are these candidate mandatory training courses for? 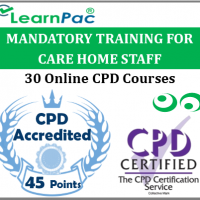 These mandatory and statutory courses are also relevant for health and social care support workers, including those who work for charities, nursing care home and residential home staff.